North Korea has claimed that it successfully deployed an earth observation satellite into orbit, after its “long-range missile test” on Sunday was widely criticized as provocative and in breach of UN resolutions. The rocket took off at around 12:30am GMT, according to the Joint Chiefs of Staff, which was tracking the flight path of the ballistic target. The US Strategic Command also detected and tracked the missile launch into space, Reuters reports. “NORAD determined that at no time was the missile a threat to North America,” the Strategic Command's statement said. Several hours after the launch, the North announced that it had succeeded in placing a“newly developed earth observation satellite Kwangmyongsong-4” into orbit, KCNA reports. The satellite was launched aboard a “carrier rocket Kwangmyongsong” that blasted off from the Sohae Space Center in Cholsan County. The agency said that the satellite entered its preset orbit nine minutes and 46 seconds after the lift-off at 9:09am Korean time. The North says that it is “legitimately exercising the right to use space for independent and peaceful purposes” and plans to send more satellites into space. The first stage of the rocket had been calculated to fall into the West Sea, according to North Korea's prior warning to the UN, and according to Seoul’s military no damage from rocket “debris or other parts” was reported on South Korean territory. While the rocket seems to have successfully separated its first and second stage boosters with debris falling in somewhat designated areas, the launch is still considered a failure by Seoul, according to Yonhap. According to the agency the rocket “burned up” southwest of Jeju, the largest island off the south coast of the Korean Peninsula. The missile “disappeared from radar” during the fairing separation stage, the agency added. However, US National Security Adviser Susan Rice called the launch “a serious threat” to American interests. "North Korea's missile and nuclear weapons programs represent serious threats to our interests – including the security of some of our closest allies–and undermine peace and security in the broader region," Rice said. Pyongyang is acting against the norms of international law, the Russian Foreign Ministry said in a statement. “It is obvious that such actions aggravate the situation on the Korean Peninsula and in Northeast Asia as a whole,” said the ministry, adding that the course of action chosen by Pyongyang can only prompt strong protest. The Chinese Defense Ministry also criticized the rocket launch as being a “second violation” of UN resolutions by North Korea in just over a month. “The launch threatens the international system of non-proliferation of nuclear weapons, leading to further deterioration of the situation on the Korean Peninsula,” the ministry’s statement said. North Korea previously notified the International Maritime Organisation (IMO) about a potential rocket launch to put an earth observation satellite into orbit, claiming a launch window of February 8 to February 25. 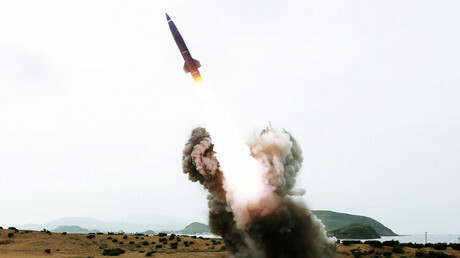 The launch however triggered international concern as a potential long-range missile test. The North is banned from using ballistic missile technology under UN Security Council resolutions. ''We will take action to totally protect the safety and well-being of our people," Abe said. An emergency meeting of the UN Security Council is reportedly set to take place later on Sunday to discuss the event. South Korean bodies are already convening emergency meetings on different levels. South Korean President Park Geun-hye termed the launch an “unacceptable provocation” as he called on Washington to “take all necessary measures” in response to the threat. 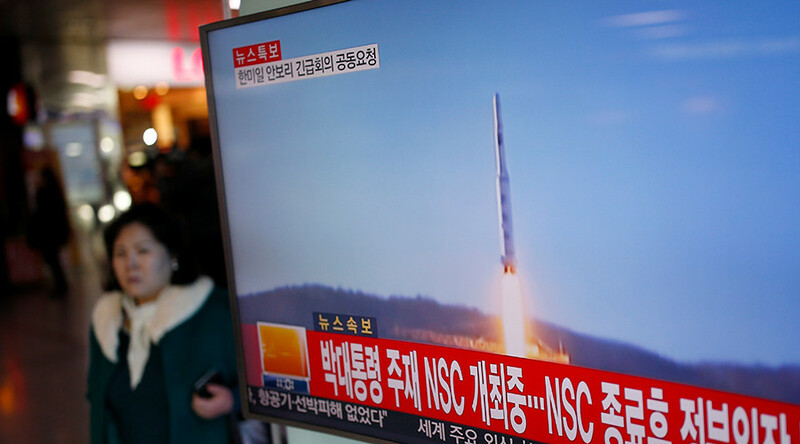 Sunday's launch is the sixth long-range missile test by the North. Last month North Korea claimed to have successfully tested a thermonuclear bomb. While many experts doubt that the nuclear device was indeed an H-bomb, the move prompted the US and its regional allies, Japan and South Korea, to seek tougher UN sanctions against Kim Jong Un.